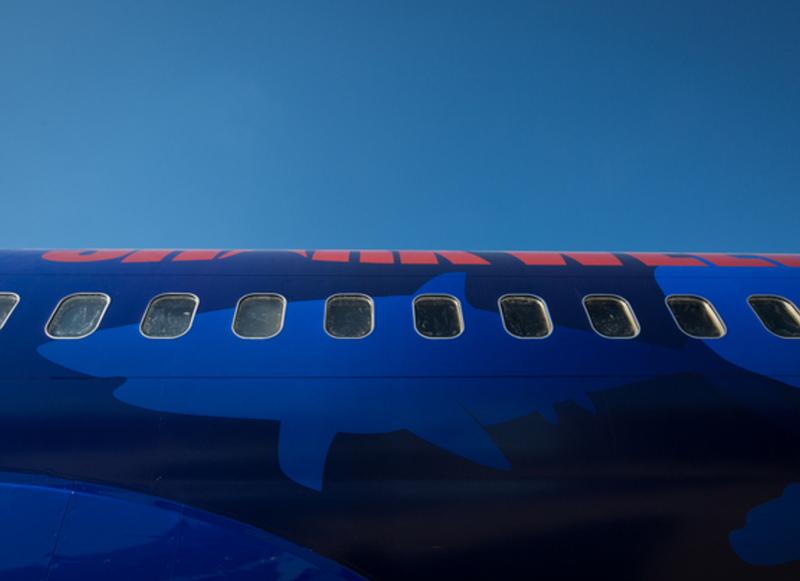 Shark Week is about to take flight…with the help of Southwest Airlines. The popular week of shark-filled programming — which is set to air on Discovery Channel from July 23 through July 30 — is making an appearance at 35,000 feet on one of Southwest’s Boeing 737-700 planes. 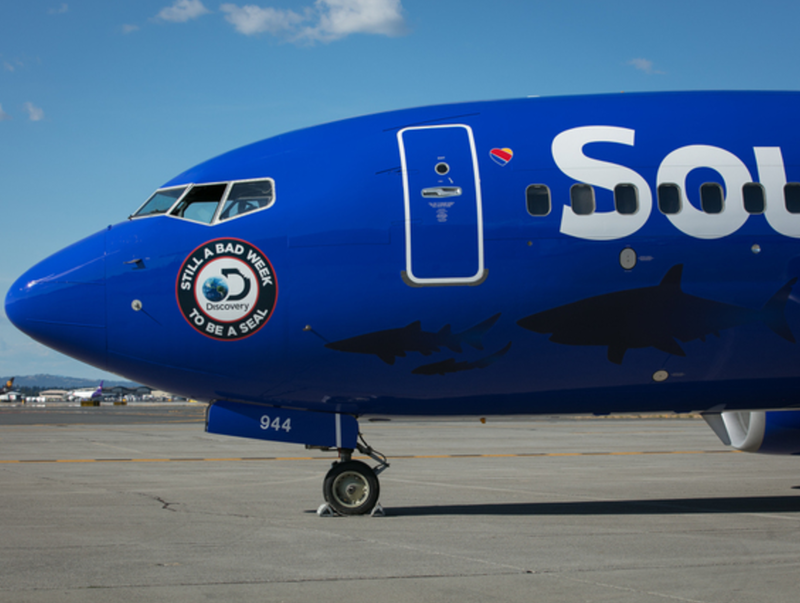 The airline, known for its signature blue paint scheme, is featuring shark-themed livery “swimming” along its fuselage now until August 31. Southwest says that travelers on WiFi-enabled flights will have the opportunity to use its onboard entertainment portal to watch Shark Week content. To top it off, an episode of African Shark Safari will exclusively premiere on its flights during the summertime promotion which kicked off on June 30. Southwest is using the partnership to highlight the launch of brand new international routes as it continues to expand from being a traditional domestic carrier. This year, Southwest wants people to visit the Cayman Islands — where it recently began service from Fort Lauderdale-Hollywood International Airport (FLL) to Owen Roberts International Airport (GCM) on June 4. The destination is the 101st, and newest, to join the airline’s route map. This isn’t the first time Southwest has launched a wild-life themed campaign. Southwest and SeaWorld had previously partnered for more than 26 years, even featuring a specialty plane dubbed Penguin One, but stopped when the documentary Blackfish drew concerns about the treatment of killer whales at the park. All images courtesy of Southwest Airlines.